Unique formulation that promotes and accelerates healthy hoof growth. Description Maintains optimum hoof condition and aids re-structuring & growth of the hoof. Application by hand stimulates keratin producing cells. Also aids re-growth of hair after rubs or scarring. Application Apply to clean hooves, by hand, rubbing in well around the coronet band and into any cracks. 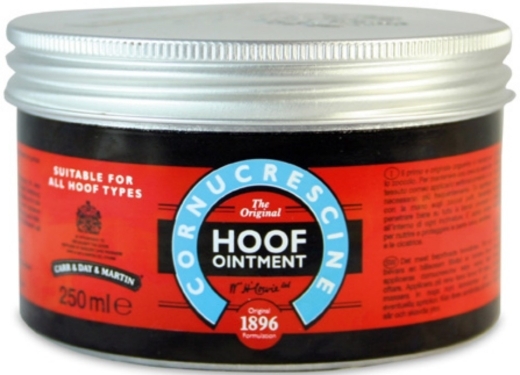 Use weekly to maintain a healthy growth of horn, or daily to accelerate hoof growth and improve poor hoof quality. Due to increased hoof growth during use, hooves may need trimming more frequently. Results will be visible in 4-6 weeks. Key Ingredients Essential oils.